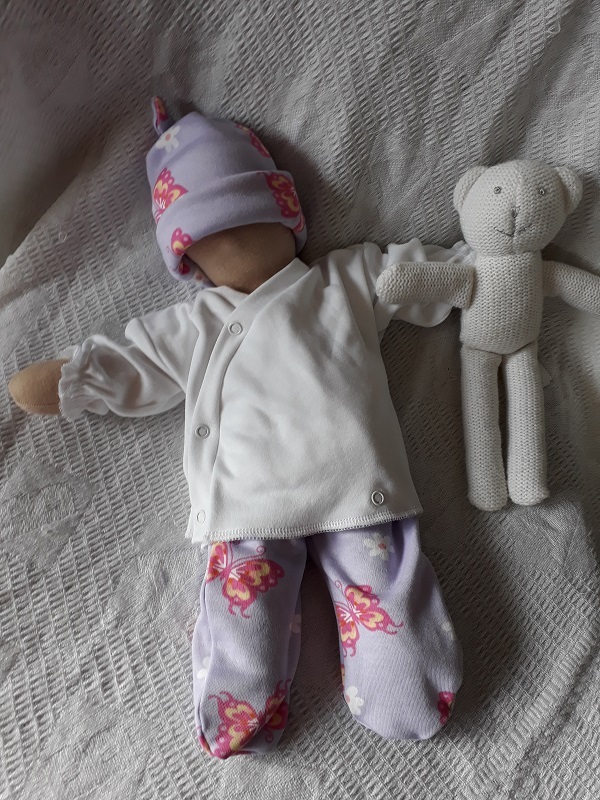 complete set of baby burial clothes a slightly different outfit compared to wearing a gown as its got a quaint little blouse with gathered sleeves leggings and a matching hat finishes of this set. she will feel ever so warm snug and settled in her final resting place with clothes that you will have chosen yourself. hand made to order by something precious tm click the order button just below to order this in born at 24 weeks size.